When you think after 25 years of Mao, Chinese people had no idea about western music or even western culture. They had no idea about James Dean or the Beatles or Charlie Chaplin, modern music or modern cinema. 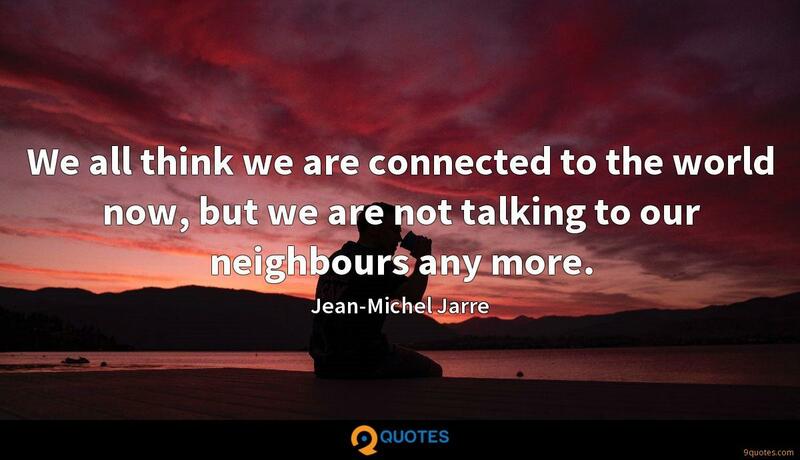 We all think we are connected to the world now, but we are not talking to our neighbours any more. Saying that you don't care about the right to privacy because you have nothing to hide is no different than saying you don't care about freedom of speech because you have nothing to say. What may not have value to you today may have value to an entire population, entire people, an entire way of life tomorrow. And if you don't stand up for it, then who will? When I was at the Group for Musical Research, with this idea of discovering electronic music, I quickly realized that that it was a very interesting and exciting approach to music, but I also saw that it was very intellectual and quite dogmatic. 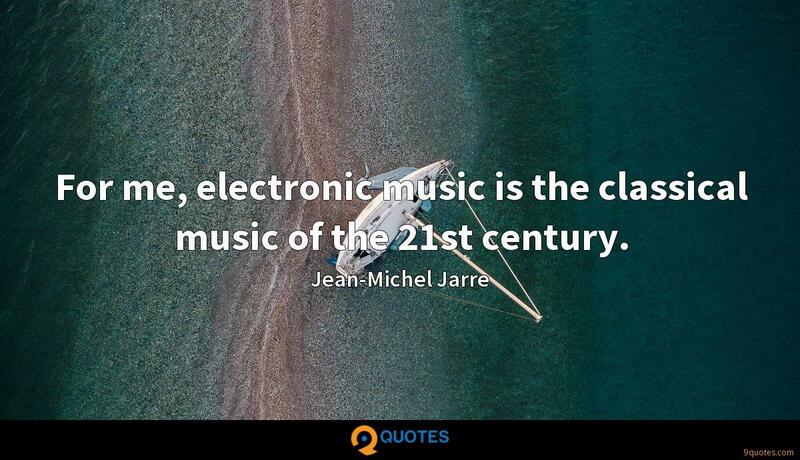 For me, electronic music is the classical music of the 21st century. I was recently realizing that I've probably spent 80 percent of my life in studios! It's very difficult to do that and still have a private life; it's very difficult to do anything else. 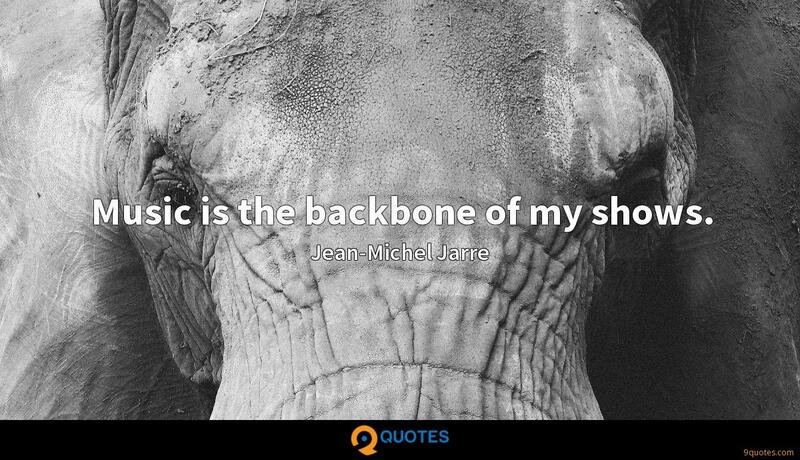 Governments can help support European music by promoting public awareness that when people take music that doesn't belong to them, they undermine the future of those very artists whose work they enjoy. 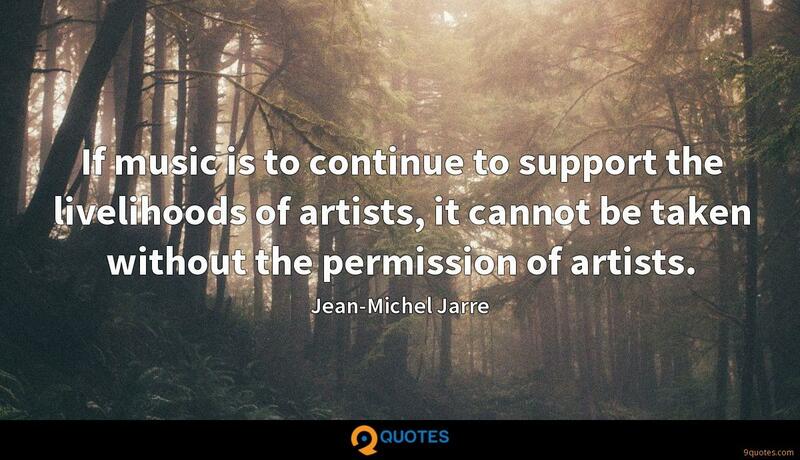 If music is to continue to support the livelihoods of artists, it cannot be taken without the permission of artists. 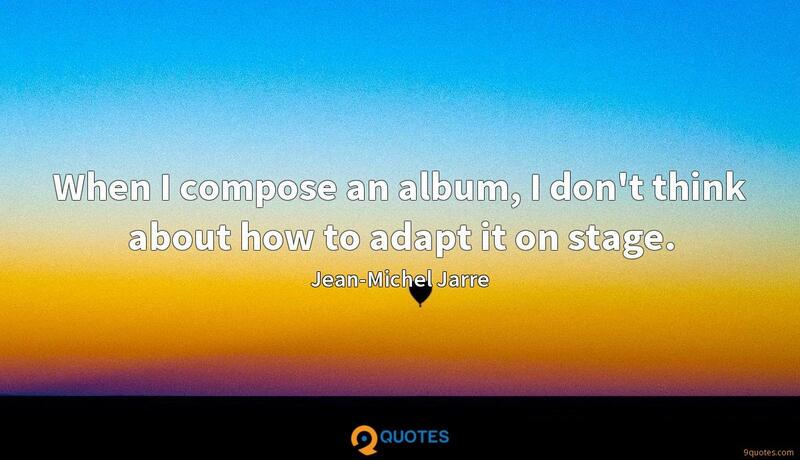 When I compose an album, I don't think about how to adapt it on stage. With the violin, for example, one understands culturally that the sound comes from the instrument that can be seen. With electronic music, it is not the same at all. That's why it seemed so important to me, from the beginning of my career, to invent a grammar, a visual vocabulary adapted to electronic music. 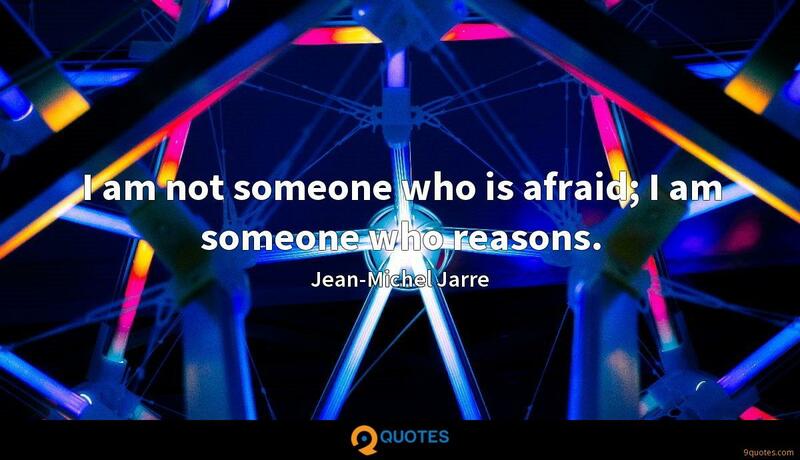 I am not someone who is afraid; I am someone who reasons. 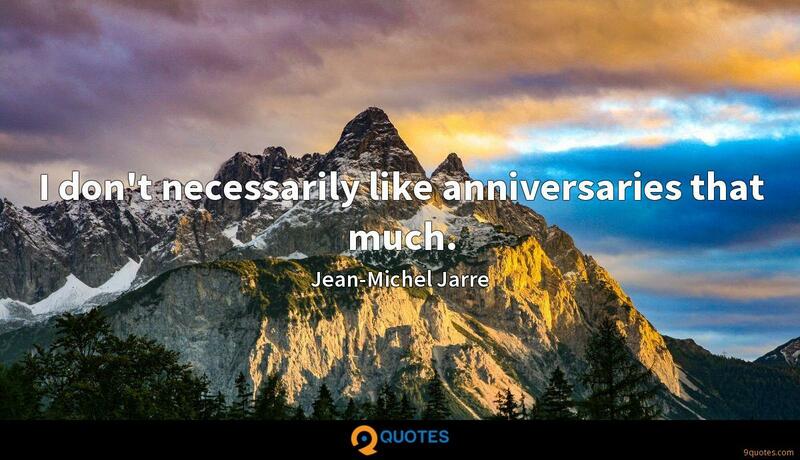 I don't necessarily like anniversaries that much. 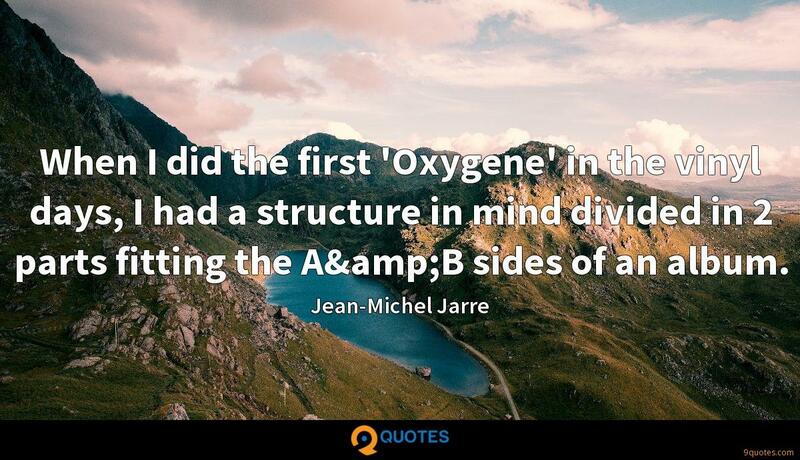 When I did the first 'Oxygene' in the vinyl days, I had a structure in mind divided in 2 parts fitting the A&B sides of an album. 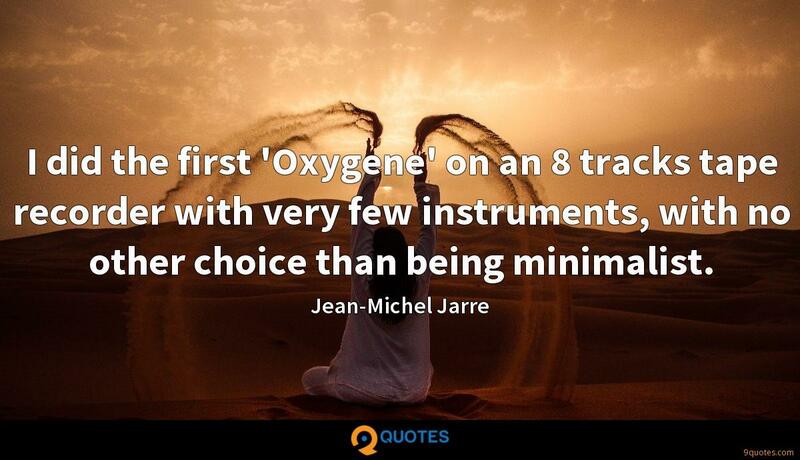 I did the first 'Oxygene' on an 8 tracks tape recorder with very few instruments, with no other choice than being minimalist. Most of the time, when you are in the studio, you are revealing yourself; you're a bit naked. You can express your weaknesses, your awkward way of approaching sound. Sharing these intimate moments is like inviting somebody into your private room. People don't realize enough how important and influentical John Carpenter has been in electronic music. He did his soundtracks by himself, using mostly electronic and analog synthesizers. He's a cult figure with DJs these days for good reasons. Some collaborators might join forces in certain cities or special concerts. I'm excited to share the stage with some prestigious people that I love and respect. My father and I never really achieved a real relationship. 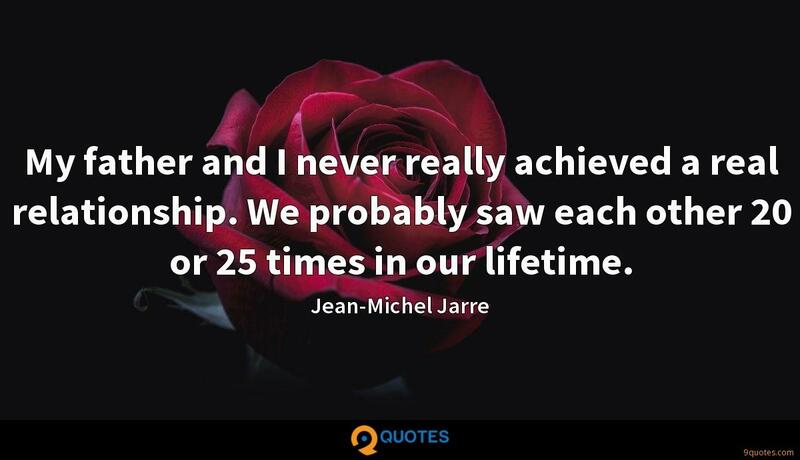 We probably saw each other 20 or 25 times in our lifetime. Even if we artists are all very privileged, there's a constant frustration about how to do more or better, and never being satisfied. Sometimes, you try something, and it works in terms of success. That doesn't mean you like what is a hit. Sometimes you like the most obscure song on your album. In a lifetime, you can say, yes, you have instances of pleasure, of happiness, you like some of your work, but your work is the entire story, and if you are not satisfied with a few moments of a few parts of that story, you would like to be able to adjust that. Suddenly, we are putting ourselves as the next dinosaurs. It's rather dark; we have narrowed our dreams. It is time to restore our visions. And so it's not a nostalgic idea; it is based with this unconscious need to restore a kind of dynamic for tomorrow. 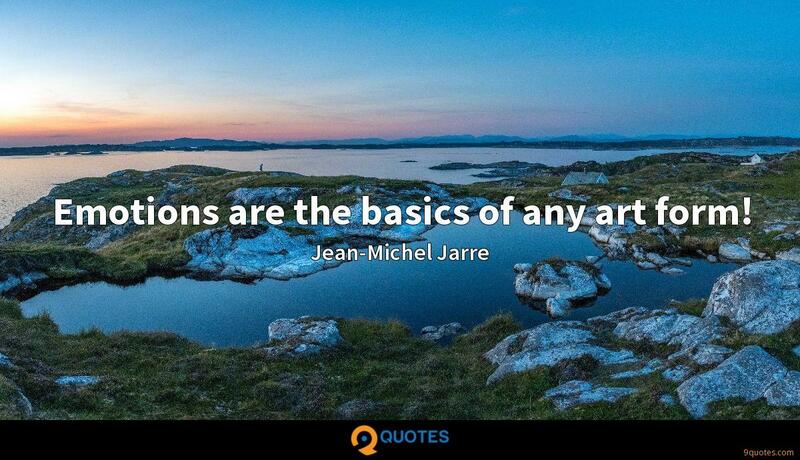 Emotions are the basics of any art form! 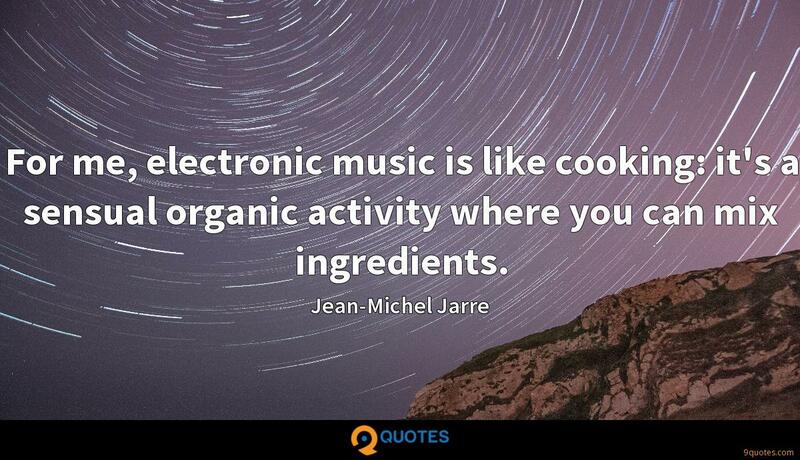 For me, electronic music is like cooking: it's a sensual organic activity where you can mix ingredients. People are rejecting the power of the elite, but individuals such as Snowden are doing so in a positive way, trying to change things for the better. He is a very intelligent man and obviously interested in electronic music. When I heard Edward Snowden's story, it reminded me of my mother in a strange way. She was in the French resistance from early on, 1941. At that time, the Resistance were considered troublemakers - even traitors - in France. I have always been of the opinion that when those in power are promoting actions and ideals that risk harming or impeding us, people should stand up to this.